The Voice UK 2019 blind auditions are now well underway, as judges have composed teams of their favourite acts. The superstar panel is working to choose the next big act in the music industry, and the next stage in the search starts this week. Today, the Battle Rounds commence, pitting acts together to impress each judge. Stress is likely running high, something Will.I.Am – real name William James Adams – once understood very well. 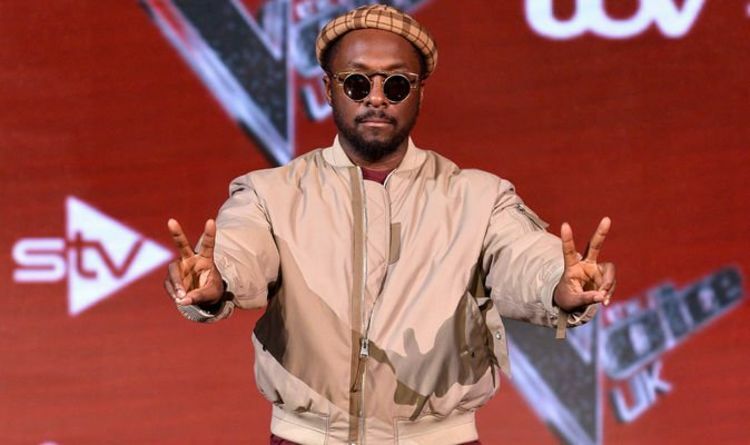 During an interview in March 2018, the 42-year-old Black Eyed Peas singer opened up about his health problems on chat show Loose Women. In 2017, he was struggling with his weight and tackling blood pressure problems. He revealed: “Last year was tough for me. “I weighed a whopping 210lbs, my blood pressure was really high, I had high cholesterol and since then, since December I changed what I eat. “I have a plant-based diet, I work out. “My immune system was weak and I was eating whatever I could eat for energy, my sleeping patterns were really off, I’d have two and half hours, wake up, go to work, have a nap. His reduced immune response meant to was difficult for him to fight off a bad case of bronchitis, which could have greatly affected his singing career. Will.I.Am decided he had to make some changes further down the line, with a combination of help from doctors and simple patience. He said: “My blood pressure and cholesterol came down without having to take medicine, my nasal drip has gone, both my nostrils are working – as I always had one nostril that didn’t work! While he managed to effectively deal with his weight issues, he was left with one other pursuant health problem – tinnitus. Tinnitus is the name given to constant ringing in the ears and is a kind of hearing loss caused by frequent exposure to very loud noises such as music. Will.I.Am said his only escape from the constant ringing was music. He told The Sun: “I can’t be still, work calms me down. “I can’t be quiet, as that’s when I notice the ringing in my ears. There’s always a beep there every day, all day. “Like now. I don’t know exactly how long I’ve had this, but it’s gradually got worse.